Edinburg - Frank Innocenzi Jr., 67 of Edinburg, Pennsylvania, died September 1, 2018 at St. Elizabeth Health Center. Mr. Innocenzi was born January 18, 1951 in Lowellville, a son of Frank and Teresa Milone Innocenzi. 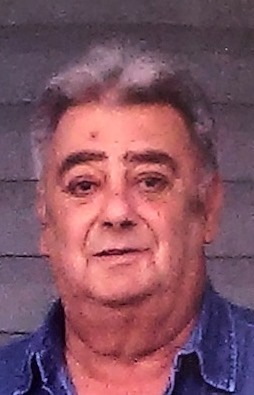 He was a 1969 graduate of Lowellville High School and attended Youngstown State University. Frank was a car salesman where he worked at Spartan Chevrolet before going into business with his father starting Milton Auto Sales in 1978. He was a member of Christ the King Parish at St. Lawrence. Frank was a member of the Catholic War Vets and Sons of Italy in Youngstown. He enjoyed bowling and was a member of various leagues. Frank was an avid Cleveland sports teams fan and enjoyed going to the race tracks. His true passion was his family, especially his grandchildren. He is survived by his wife, the former Mary Ann Compeli, whom he married Mar. 10, 1979; two sons, Anthony (Cindy) Innocenzi of North Beaver, PA and Christopher (Erin) Innocenzi of Edinburg; four grandchildren, Victoria, Frank, Vincent, and Salvatore; his mother Teresa Innocenzi of Poland; one sister, Patricia (Warren) Wilding of Boardman; and one brother, Mark Innocenzi of Thousand Oaks, CA. He was preceded in death his father Frank in 2012 and an infant son in 1980. A prayer service will be held Wednesday at 10:30AM at Cunningham-Becker Funeral Home, 244 McGill St., Lowellville followed by a Mass of Christian Burial at 11:00AM at Our Lady of the Holy Rosary Church. Friends and family will be received Tuesday from 4:00 PM to 8:00 PM at the funeral home. The family requests donations be made to the American Cancer Society, 525 N. Broad St., Canfield, OH 44406.